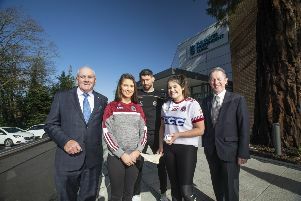 Tyrone travel to Croke Park this Saturday night in the knowledge that anything less than a victory will see them in a dogfight to retain their prized Division One status. After dropping a point to neighbours Derry, Tyrone will be hoping that their 100% away record remains intact against the defendingchampions. It is also a make-or-break game for the Dubs as they have only two points to show from their opening three games, those via a win over Donegal. Manager Mickey Harte will be less than happy with the inconsistency in the league to date and will need a better return from his forwards, in particular for the trip to the capital to be fruitful in terms of much-needed points. Meanwhile, the non-appearance of a Tyrone player for the post-match interview with RTE on Saturday night is believed to be on the table for discussion at a County Committee meeting on Tuesday. An awkward media blackout of the Southern-based netwrork has been in place for a couple of seasons now, but it was thought that matters had been resolved as part of the new sponsorship terms.